When my babies were babies... I used to wake them up on Christmas Eve morning singing the song, "Here comes Santa Claus, Here comes Santa Claus right down Santa Claus Lane... Vixen and Blitzen and all his reindeer pulling on the reigns... bells are ringing children singing all is merry and bright... so hang your stocking and say your prayers cause Santa Claus comes tonight!" I just loved that it ended with "Santa Claus comes tonight!" When Ryan was two we taught him the passage in the bible of the angels announcement to the shepherds... "Fear not.. for behold we bring you tidings of great joy which shall be to all people... for unto us is born this day in the city of David, a Savior which is Christ the Lord..." He was a great little party trick for a few years there, reciting this long passage of scripture in his little baby voice. Christmas Eve has always seemed more holy to me than Christmas Day. Christmas Eve has traditionally been about church and family and anticipation. Since my kids have always opened their gifts on Christmas morning, Christmas Eve was more about the holiday itself and less about the materialistic things. A news report this morning talked about what a "dismal season this has been for retailers". I'm sorry for retailers but I am glad that this year has been less about wasting money on things... and I hope this means that the focus will be more on what matters - faith, family, tradition - because I know it has meant that for me. This morning I woke up to the local news. There was a story about a 4 year old child who shot himself while his parents were Christmas shopping. They named the street that this happened on and that caught my attention - it was the street where we lived when Austin was in kindergarten - the last year that I was married to the kids' dad. I started watching the news footage and realized... this was our house! The little boy is still alive at a hospital in Atlanta. The gun was in his dad's backpack in a closet. My boys' dad had a bunch of guns when we were married. I made him keep them in the attic. I was always worried that the boys would get hurt. I'm going to wrap the last few presents... cook up another batch of sausage balls... make a quick run to the drug store to pick up some prescriptions that I called in on Monday and a few last minute things... then it will be over to Sarabeth and Jamie's house for lots of love, food, family and PICTURES! I'm sure I'll be back later to share! Have a beautiful Christmas Eve! Christmas Eve is such a special day for the kids...and us "grown ups" too! I've always loved Christmas Eve . . . it has meant spending the day with mom and dad and not having to share them (until later in the day) with everyone else! Doug and I were talking about your former house earlier this week . . . that was such a cute house when you guys bought it . . . the neighborhood isn't so cute anymore. We have guns and have always taught our kids gun safety and we take them target shooting so they'll know how to use a gun . . . but even then, I like to keep gun locks on them (the guns, not the kids). Hope you and Austin have safe travels . . . and hope you have a very Merry Christmas! I just love this holiday. Every year is different for us, so I just wing it. 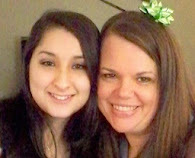 I have been thinking about my past Christmas Eve's with my daughters. And the ones that I had growing up. I remember the excitement as though it was a tickleling electric current running through me. like you, I am focusing on the reason for the season. It makes me feel so happy and warm. and Safe.